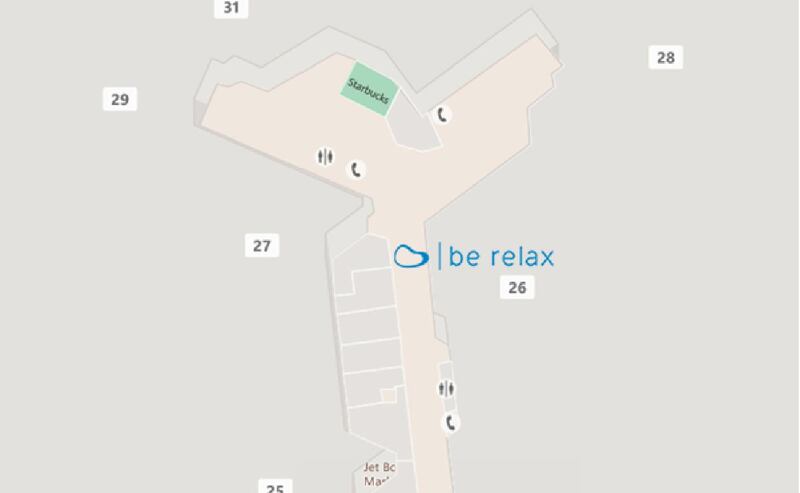 Bienvenue chez Be Relax San Diego ! Oasis awaits you at our large T2E location in San Diego Internatinoal Airport (SAN) Terminal 2 East. This location is built to provide a calm environment with diverse product selection such as skin care and nail care from our national brand partners such as Dermalogica, Coola and OPI as well as various massage and travel product designed by our innovative Be Relax product development team. We have a private treatment room, so come visit us and enjoy the luxury experience and escape the hectic airport environment.